Girl Up! It’s an extremely exciting time for girls and women who exhibit a passion to start their own business. At all of our camps this summer, we had amazing women entrepreneurs as guest speakers. Their influence on the BIZNOVATORS that participated in our camps, was clearly a pleasure to see. Every time we invite speakers to our camps, we have the luxury of seeing our students’ amazement and reactions. Quite often they are in awe. 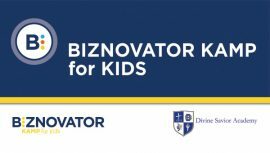 For years, it has been customary for our BIZNOVATOR Speakers to always deliver their presentations with encouragement and motivation. We make sure that our speakers are screened before being invited to speak to our students; especially if they are going to share their stories about how they got started in their careers and business ventures. 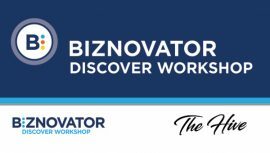 Three particular women that belong to our BIZNOVATOR Speakers Network, and that have committed to volunteer with us for the past 10 years are; Angela Cruz, CISCO, Laura Ruiz Hadjuk, Starbucks, and Holly Bunn of SAP. 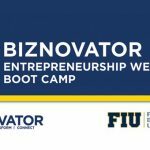 They do a wonderful job mentoring and coaching our BIZNOVATORS during the business, and life planning phase of our camps. They have definitely impacted the lives of our youth. This summer, like in the past, we were quite impressed by the ideas our young ladies developed. 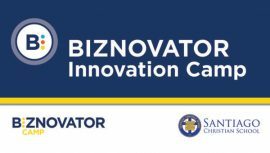 One of our Rising Stars and future medical innovator is Adrianna M. Albelo-Hermida who attended our BIZNOVATOR Innovation Camp at SAP. After brainstorming and gathering information through her online research, she finally arrived at an idea and business name — Life Scanners — a sensor that scans the human body, providing a digital 3D image. This invention will assist medical professionals to accurately pinpoint and diagnose undetected medical conditions in a patient’s body before and/or during surgery. In the future, her venture will expand and offer their system to other medical fields: veterinarians, dentists, medical schools, etc. This amazing future medical innovator has established as her mission, “an innovative technology to all medical professionals that ultimately help save lives.” Adriana is a 15-year-old ready to conquer the medical industry with her brilliant ideas. 4 of 5 in a Series – Previous Series 3 – Next Series 5!